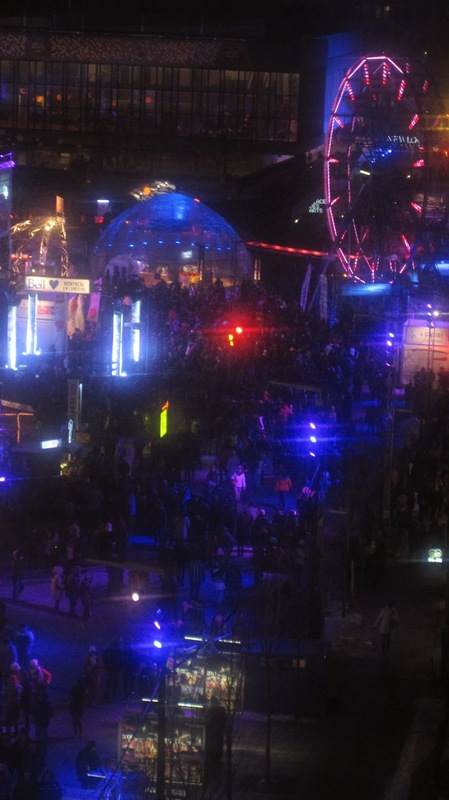 Saturday night was "Nuit Blanche" in Montréal. Fantastic. Art, music, food, drink and the museums and galleries were open until all hours. A great time was had by all. What's not to like? It's free, it's fun and provides some light on a cold February night. That's all well and good but look what I got to see! 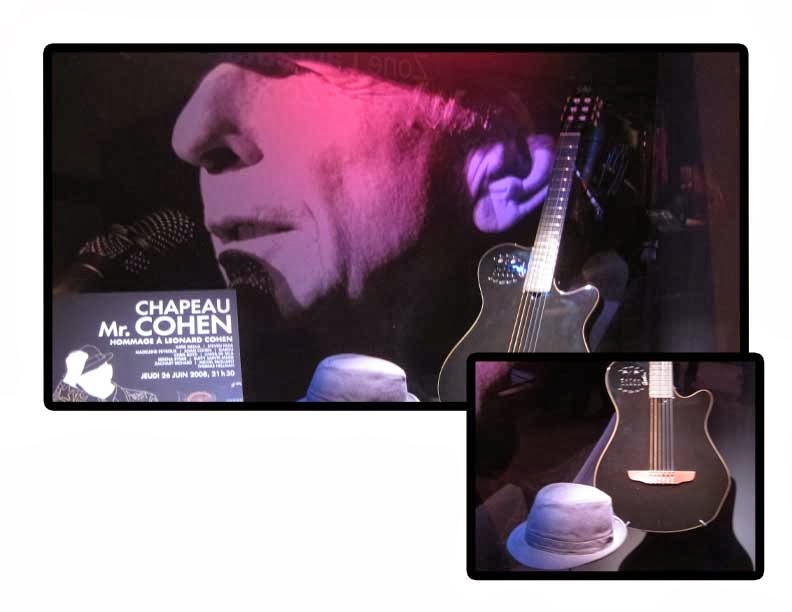 Leonard Cohen's hat and guitar! It was on exhibition at one of the shows we stopped in to see and....WOW! Now how fantastic is that? (Oh yes....there were other things there too). I must ask the CBC if they'd like me to cover some events for them. I think I have a knack for this sort of thing. I left a comment earlier that disappeared as I sent it..so if you get two from me, just be assured that my short term memory isn't failing me. As I was saying...I am impressed at the sturdy stock of you Canadians. If there was an outdoor event here in Kansas City, there might be 5 that showed up. Maybe I am on the high side of my guesstimate. As for Leonard Cohen...AWWW..I had to go over to youtube and play Halleluiah just because I love it. There's something going on with Disqus....I've had the same thing happen. Anyhoo.....I guess we are sturdy stock....or just crazy. There comes a time when we just HAVE to get out! (I love Leonard's Halleluiah too - what a voice)!